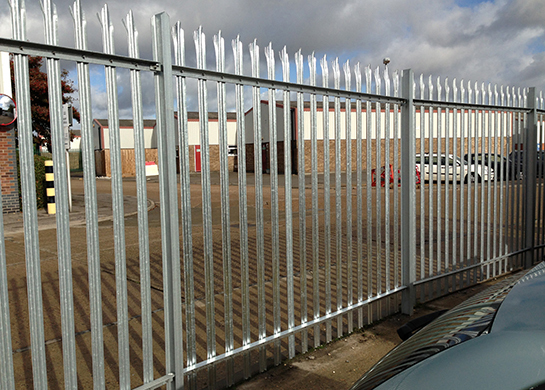 Our palisade fencing offers a complete security solution. This strong, durable fencing is suitable for large-scale areas, providing an unrivalled level of site protection and vandal resistance. It is difficult-to-impossible to climb, making it a formidable barrier in locations where keeping intruders out is essential. Our high quality palisade fencing is available with a comprehensive range of toppings, such as round and notched and triple pointed, providing further effective visual and physical deterrents. The steel fencing can be produced to your size specifications to suit the security requirements of your individual sites, and is also available in a choice of colours, offering aesthetic appeal alongside a tried and proven method of security. Choose from a variety of long lasting colour finishes to suit the environment or your company brand image, while providing enhanced durability in all weather conditions.